A sense of luxurious elegance makes this stunning bouquet a modern classic in our eyes. Who could fail to love the timeless beauty of a cream rose, combined here with the exuberant sapphire-blue of delphiniums and the nodding heads of pretty snapdragons. The blooming heads of sophisticated roses are offset perfectly by the delicate yet vibrant delphiniums and sprays of lisianthus and eucalyptus, resulting in a tasteful bouquet rich in detail and texture. 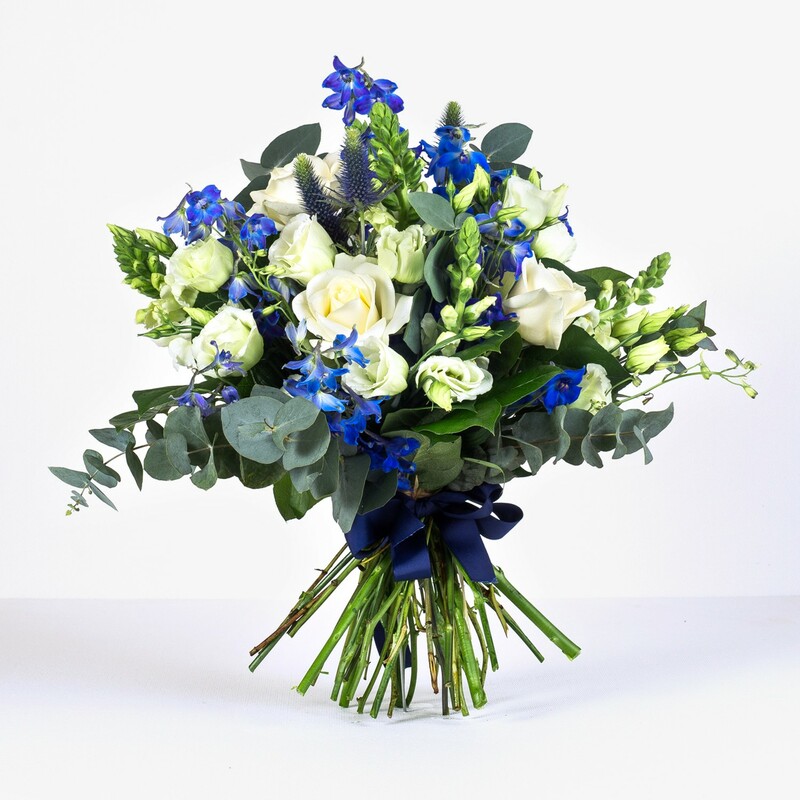 This combination of blue delphiniums, Avalanche roses, lisianthus, antirrhinum and eucalyptus foliage makes for a gorgeous bouquet that is both opulent and yet sophisticated.